Starting in your first semester in the School of Nursing curriculum, a unique opportunity awaits you. 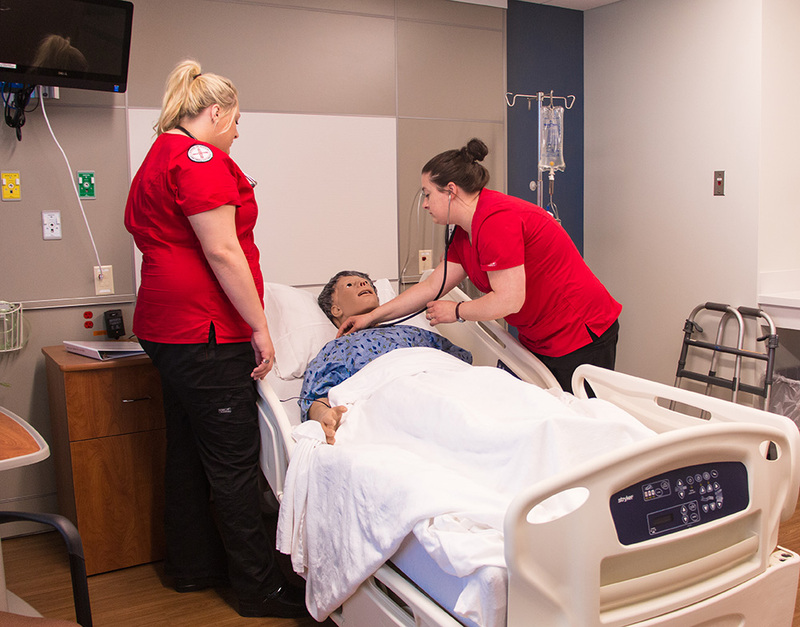 The Simulation program offers participants a health care environment under the guidance of human patient simulation experts. 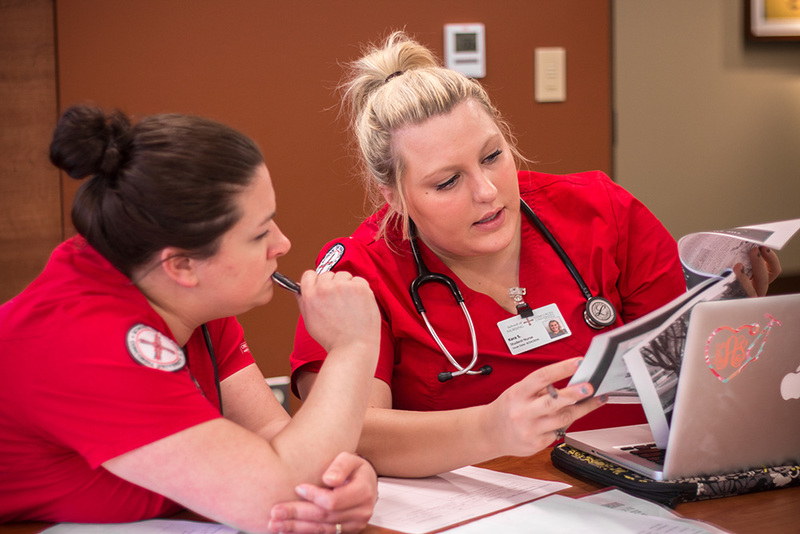 From the beginning, you will practice inter-disciplinary care to meet the demand of the twenty-first century health care environment fully immersed in an RN role. The state-of-the-art simulation center includes five hospital rooms, an apartment, a chapel, and courtroom. These rooms can be configured for a variety of different inpatient and outpatient settings including; home care, pediatrics, adult medical surgical, community nursing, and OB delivery. While in Simulation, you are also utilizing the latest technology found in hospital settings including medication dispensing units, electronic health records, infusion pumps, and ceiling lifts. Meanwhile, a robust video capturing system enables you to view and reflect on your experience. Six debriefing suites equipped with large screen monitors allow students and instructors alike to critique and cultivate their practice. Concordia has 9 high-fidelity simulation mannequins including Pediatric HAL, the world's most advanced pediatric patient simulator. It will be a useful tool for teaching students a variety of skill levels because of the mannequin’s sophisticated assessment capabilities. Anita has over 20 years nursing experience in med/surg, dialysis, hospice, and nursing education. 15 of those years have involved work in a variety of teaching positions including nursing clinicals, skills lab, and simulation lab. She earned her MSN with a focus on nursing education and has practiced in simulation ever since. 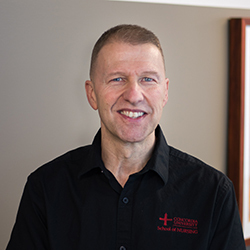 Joe brings with him over 17 years of health care experience including the areas of first responder, emergency medicine, ICU and critical care. He has a Master’s degree in Adult Acute care from the University of Michigan and is an Adult Acute Care Nurse Practitioner. Joe also holds a certification as a Certified Healthcare Simulation Specialists issued by the Society for Simulation in Healthcare. 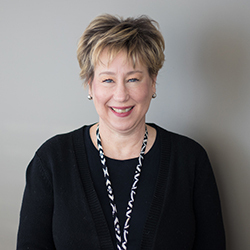 Betsy obtained her nursing degree from the University of Michigan and brings 30 years of nursing experience in a variety of care settings to share with students. She has been teaching for 9 years both in the skills lab and in the simulation center. 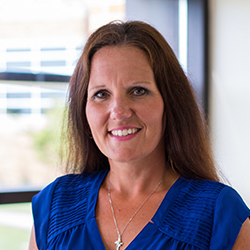 She is passionate about helping students learn to critically think and problem solve while caring for patients with complex needs. Ben has been a Paramedic for over 28 years. 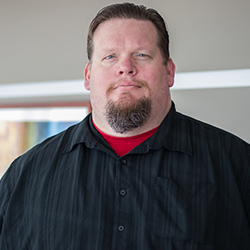 His teaching background includes Medical First Responder, EMT, Paramedic, and Nursing continuing educational programs. He currently has several certifications and licenses which enable him to maintain the well-being and overall performance of mannequins of all fidelities.